In a dynamic environment like Formula One, speed is key – both on and off the track. Since the difference between a win or loss could be a margin of mere seconds, perfecting the engineering of a racecar is a key imperative of any Formula One team. But responding quickly to a world of ever-changing regulations whilst maintaining a competitive advantage requires a culture of innovation. Formula One design and engineering teams must, therefore, be able to develop new designs to improve car performance. So where does 3D printing fit in? Ideal for producing fast iterations and complex engineering solutions, 3D printing is a significant asset for designers and engineers looking to accelerate the product development cycle. From prototyping to creating lightweight components, we’ll be looking at how Formula One teams are using 3D printing to boost performance and innovation. Two key objectives when developing new designs for race car components are: 1) reducing production time and 2) reducing costs. Developing fit and function prototypes is therefore crucial for validating a part before the final version is produced. Here, 3D printing comes into its own, by providing a cost-effective means of producing prototypes with the same or similar properties as the final part. Regulations and technical specifications for Formula One teams are set by the motorsports’ governing body FIA (Fédération Internationale de l’Automobile). Within this framework, engineers typically design a new car every year. At this pace of change, it’s important to get a prototype to production as quickly as possible as soon as it is conceived. 3D printing enables the manufacturing of parts much faster than conventional manufacturing would allow. With the technology, engineers can eliminate the time-consuming steps of designing and producing a pattern and mould before manufacturing the part. This is because 3D printing starts with the digital CAD file, which can be sent to production in just a fraction of the time. As an example, the F1 team at the Williams F1 base is said to be able to ship over 2,000 3D printed parts per month — a number that wouldn’t be possible had the parts been produced with conventional manufacturing means. 3D printing offers the ability to modify the design of components quickly and cost-effectively. Being able to make rapid changes to the design and 3D print them in a short time frame means that engineers can find mistakes and modify the design in a shorter space of time. This is particularly important for design, which faces a “packing” challenge. For maximum aerodynamic advantage, race cars are designed to be sleek, leaving not a great deal of space withn the car itself. However, this feature also makes it difficult to pack car components in a way that enables the easy access to interior parts of the car during pit stops. With 3D printing, engineers have greater flexibility in trying new designs quickly and developing the best fitting components and configurations. 3D printing has become an indispensable tool for producing durable and accurate parts for wind-tunnel testing, an important means of assessing the aerodynamic properties of a race car. Aerodynamics is an important element of motorsports – by assessing the potential forces on a vehicle and how this will impact its speed could make the difference between a win or a loss. For F1 teams, testing real-life cars is typically limited to only a few times per year. Wind-tunnel models, therefore, provide a much faster and cheaper way to test car parts. The wind-tunnel test involves placing a model, at 60 per cent the size of a real car, on a treadmill to mimic the same conditions (high speeds, wind forces etc.) 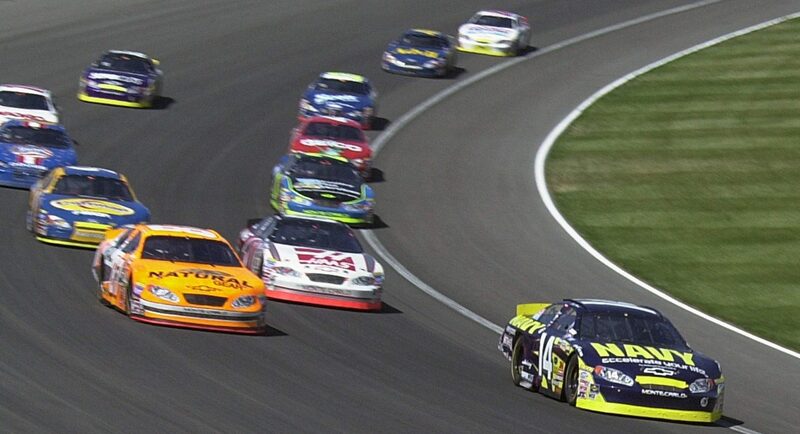 that a car will reach during the race and make any adjustments if necessary. Currently, 3D printing is most widely used to create parts to be tested out on this replica race car. Compared to machining and model making, 3D printing offers a faster, cheaper and more efficient way to produce models for wind-tunnel testing. Another advantage is, again speed: if a design change is necessary, additive manufacturing makes it easier to produce components that can be tested in the wind tunnel much faster. 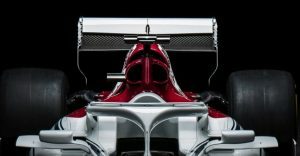 The Alfa Romeo Sauber F1 Team, for example, extensively uses SLS and SLA 3D printing to produce parts including front wings, brake ducts and suspension covers, as well as engine covers, internal ducts and hand deflectors for wind-tunnel car models. The team has reportedly been able to use the technology to 3D print 200 to 300 plastic parts per work day, stating that “it would be impossible to do it any other way than additive manufacturing part production”. 3D printing is also an invaluable technology when it comes to producing tooling equipment, from jigs and fixtures to sacrificial and composite tools. With the technology, manufacturers are able to produce complex, customised tools without the high costs and long lead times associated with traditional tooling production. For example, FDM technology can be used to produce lay-up tools faster and more cost-effectively, using high-performance materials such as ULTEM. The McLaren Formula One Team has recognised the benefits of AM, having used FDM to 3D print a lay-up tool for a large rear wing flap extension. The part, designed to increase rear downforce, was produced with ULTEM 1010 material in three days, significantly reducing lead time. 3D printing also offers the added benefit of producing tools on demand, speeding up both production and assembly. Some teams are already using 3D printing on the track to produce tools to help with last-minute modifications during races. This has the added benefit of removing the need for expensive courier services. 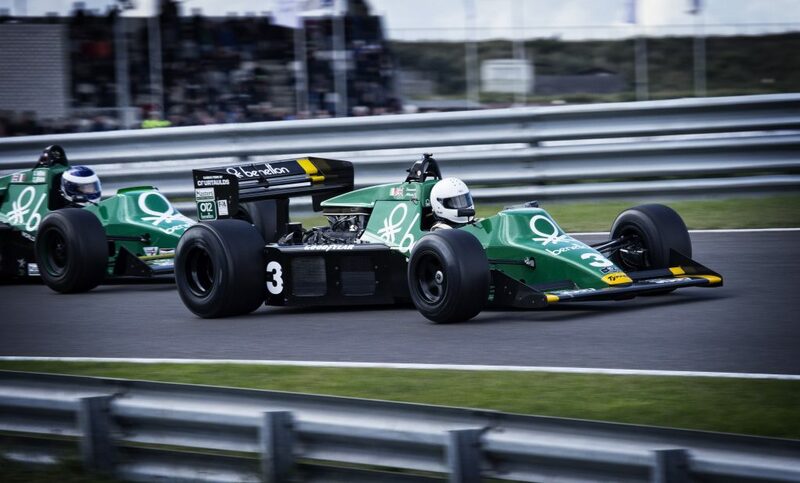 When teams are looking to improve speed, reliability and efficiencies of racing car components, 3D printing can help to improve part performance. Since race cars need to be relatively lightweight, the most commonly used metals are aluminium with parts made from carbon fibre. 3D printing is especially suited to the production of lightweight, complex thermoplastic and metal components which can create a significant performance advantage. In theory, weight savings offered by 3D printed parts over can make the difference between winning and losing. The Alfa Romeo Sauber Formula 1 Team, for example, produces 3D-printed metal components for use on the final cars, including upright covers, garage equipment, exhaust components, and several unique sets of intercooler and radiator inlets and outlets per car. Despite the current uses of 3D printing within Formula One and motorsports as a whole, several challenges still remain when it comes to fully maximising the potential of the technology. Finished 3D printed-parts can often vary when it comes to final material and dimensional properties. Since motorsports teams often outsource part or most of the additive manufacturing process, this means that you may not get exactly the same part every time. However, the advantages offered by 3D printing encourage many motorsports companies to bring more 3D printing in-house to have more control over the manufacturing process. Yet, 3D printing in-house can be a source of other challenges, one of which is a lack of technical expertise. While 3D printing has been around for a few decades, adoption within manufacturing as both a prototyping and production tool has been gradual. This has trickled down to education too – meaning that many designers have not had extensive experience or exposure to additive manufacturing. As a result, motorsports looking to leverage the benefits of 3D printing must also be prepared to invest in training programmes as a means of building up the required know-how and skills base. As the in-house 3D printing capabilities of motorsports companies grows, so too are the volumes of parts produced. Some companies in this field are using more than 10 machines and producing thousands of parts and prototypes per week. With such high volumes, companies will inevitably face the challenge of managing the production of 3D printed parts if there is no workflow management system in place. Some of these inefficiencies include managing the large volume of incoming requests, received on a daily basis, manually. A large part of these workflows also lacks visibility and traceability, especially as companies work across facilities and locations. This means that teams are unable to efficiently track projects throughout the production process. One of the ways to overcome this challenge is to automate as much of the workflow stage as possible. Dedicated workflow automation software comes as a useful tool in overcoming many of the bottlenecks motorsports companies may encounter when managing 3D printing production. Some of the benefits include automating the request management process, job scheduling and tracking parts from request to production and beyond. Since 3D printing is still most commonly used for prototyping within the motorsports sector, there is a common misconception that the technology remains unsuitable for producing end parts with enough strength and durability to be used in high-performance applications like racing cars. However, 3D printing is already being used within the highest levels of motorsports engineering as a viable alternative to machined car parts, which can be heavier, less cost-efficient and more time-consuming to produce. For example, a roll hoop – a critical safety structure which protects the driver in case of a rollover – is being 3D printed in metal by the Alfa Romeo Sauber F1 team. Notably, this part is made from Scalmalloy, a lightweight metal developed specifically for additive manufacturing. By using this material in conjunction with DMLS (Direct Metal Laser Sintering), Sauber F1 can produce a much lighter roll hoop with complex internal features for structural integrity. It has also been able to reduce production lead times by 20-25%. The conventional roll hoops, which were machined from aluminium, had a much longer lead time and were less consistent in strength compared to the additively produced part, according to the company. The McLaren F1 Team is also using 3D printing to produce structural car parts – just last year, the company 3D-printed a structural bracket for a 2017 race car using Stratasys 3D printers. 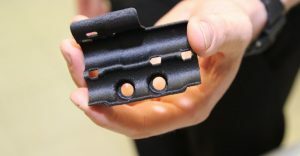 Made with carbon-fibre-reinforced nylon on an FDM 3D printer, the bracket was 3D printed in just four hours compared to the estimated two weeks required to create such a component using traditional manufacturing methods. As motorsports companies continually strive to improve the performance of their cars whilst also complying with the ever-changing racing regulations, 3D printing presents a plethora of benefits for the sector. The technology can help to reduce development time for new designs as well as produce end-use parts that could offer a significant performance advantage. As the technology is increasingly adopted, we’ll see even more innovative applications come into life, propelling teams towards victory.